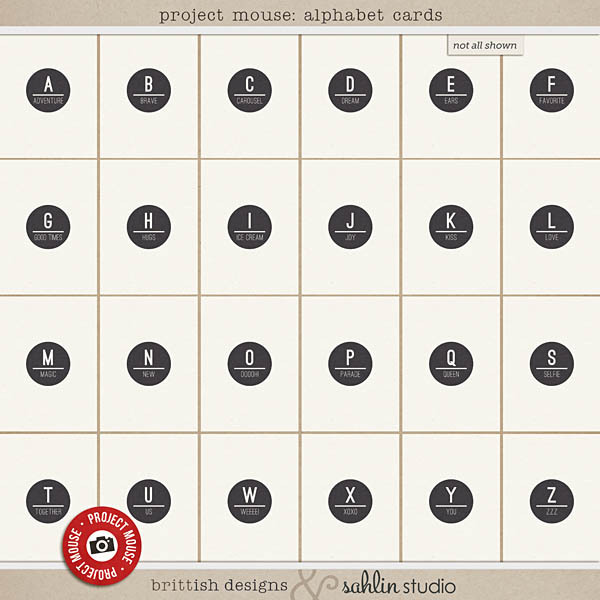 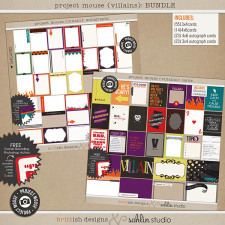 For this installment, we bring you Project Mouse: Alphabet Cards. 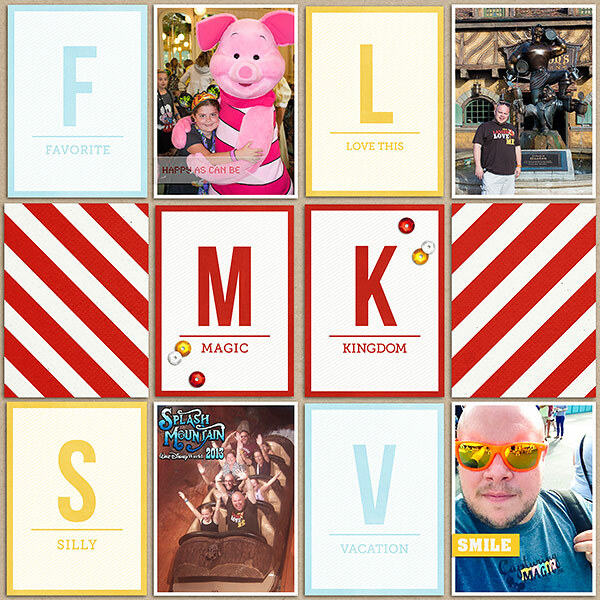 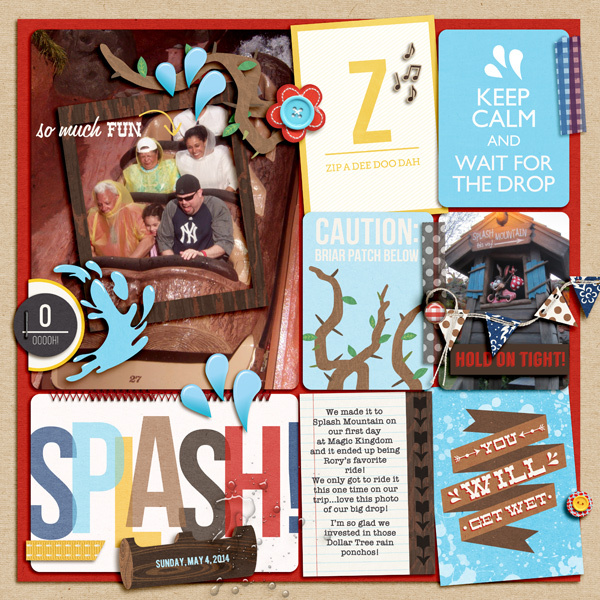 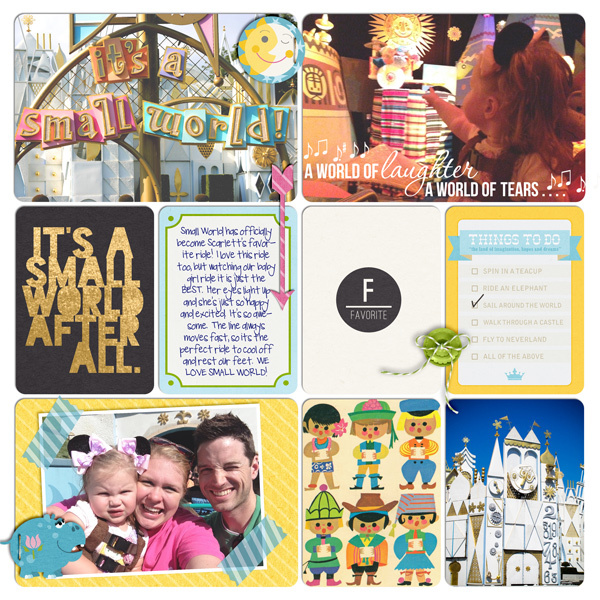 CARDS GALORE with all the phrases, magical words, and sentiments you need to scrap your favorite vacation photos. 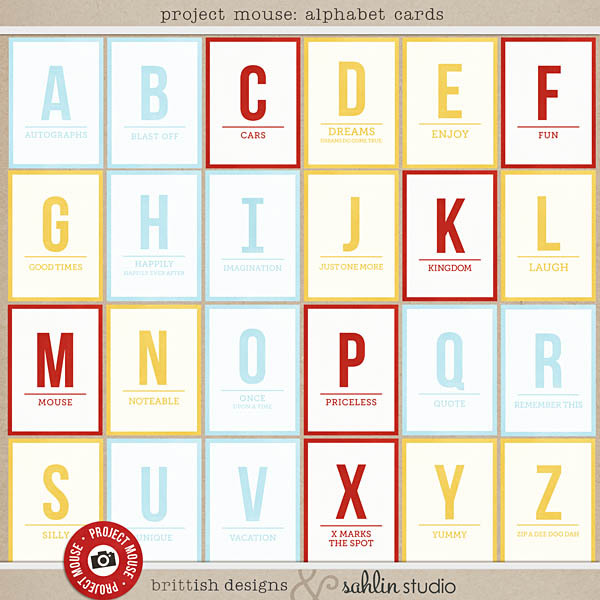 Each letter of the alphabet has one (or two or three or four) awesome words to go with it. 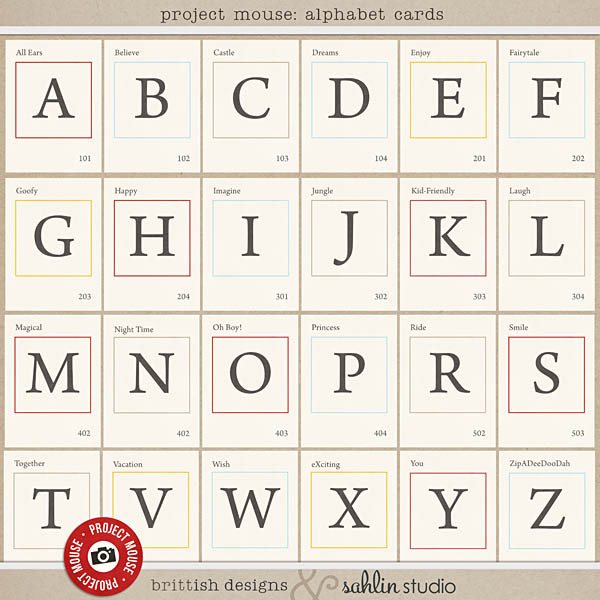 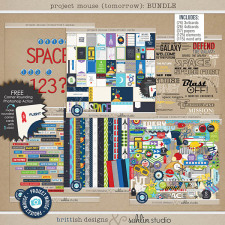 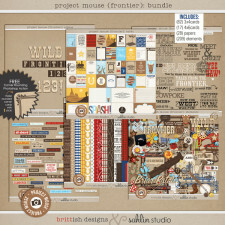 Add these to your Project Mouse stash and you’ll find yourself using them again and again on so many different types of pages. 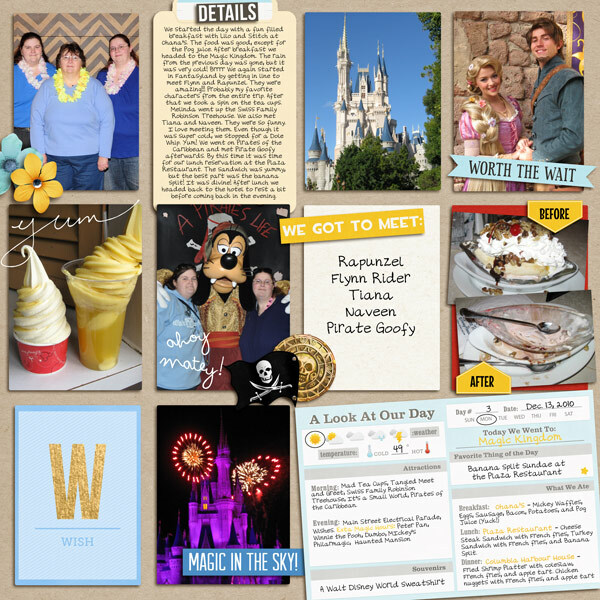 From cruising through a jungle, to yummy treats, to meeting your favorite princess, this pack has got a something for every memory. 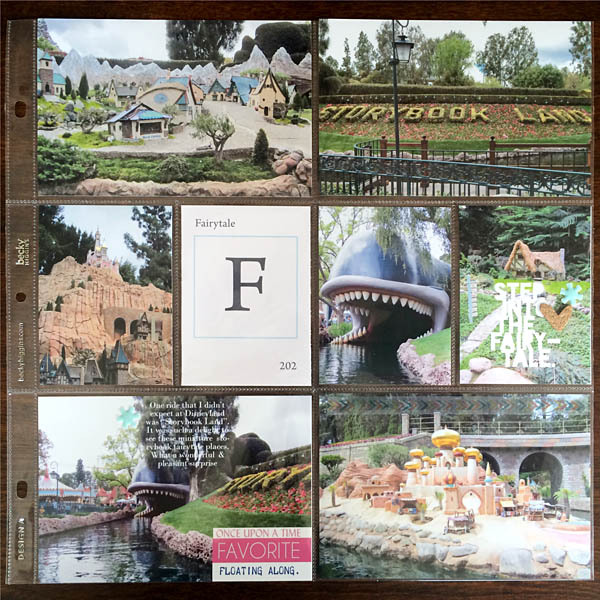 They can easily be printed out for hybrid projects, and are just the right size for “Project Life” templates and page protectors, too! 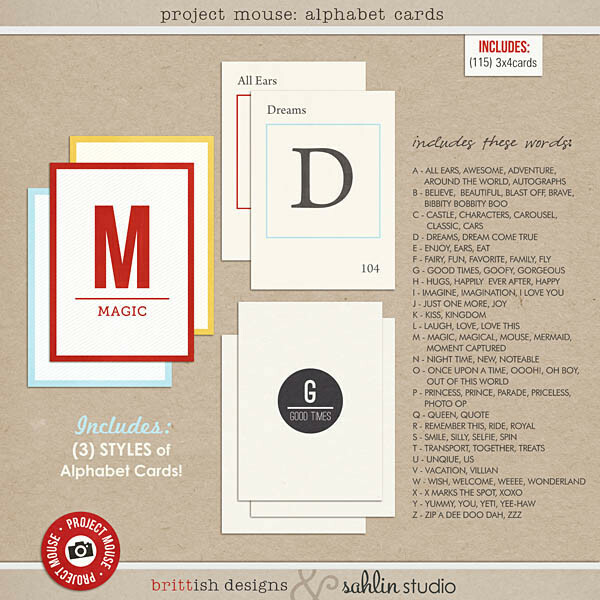 Card Pack Includes: ♥ 3 Styles of Alphabet Cards (115 cards) in 3×4 size in PNG, JPG with bleed (for professional printing), ♥ PDF & JPG 8.5x 11 print sheets ♥ 1 bonus Corner Rounder Action.